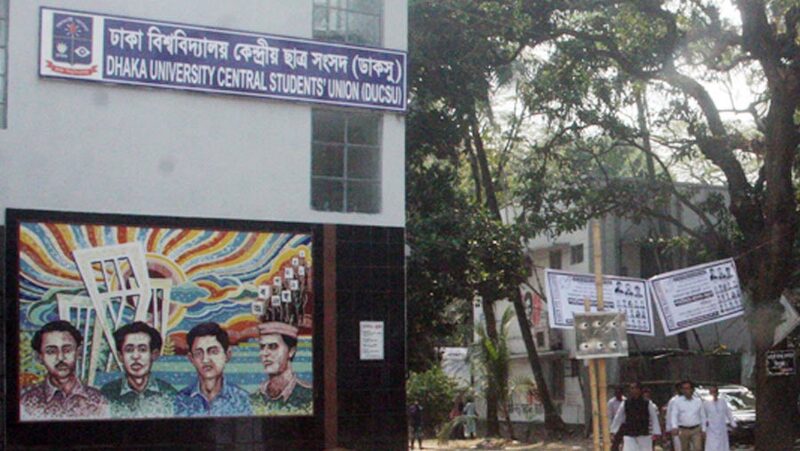 The voting to much-awaited Dhaka University Central Students’ Union (DUCSU) and hall union polls has ended at 2 p.m. Students were in long queue to cast their votes. The authority allowed vote casting for the students who were in queue till 2 p.m. DU Vice-Chancellor Akhtaruzzaman said the DUCSU polls were held in a fair and peaceful manner, local media reported. Meanwhile, panels of the Chhatra Dal, leftist students, quota reformers and the independent candidates have announced they will boycott the DUCSU polls over allegations of vote "rigging and fraud". Leftist DUCSU vice presidential candidate Liton Nandi made the announcement for the leftist student alliance at a media conference at Dhaka University’s Madhu’s Canteen on Monday. The Chhatra Dal announced they would boycott the polls at a separate media conference. In addition quota reformers, who placed a panel under the name Bangladesh Shadharan Chhatra Adhikar Shangrakkhan Parishad, and independent candidates from the Shadhikar Shatantra Parishad panel and the Shatantra Jote panel have also announced they will boycott the polls. The Chhatra Federation announced it will boycott the polls. The Shadhikar Shatantra Parishad panel also announced a general student strike on Tuesday (Mar 12).